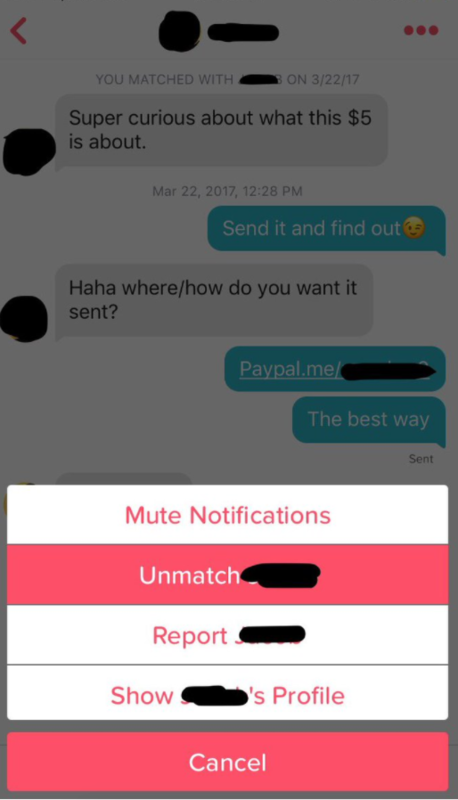 A student has discovered what she describes as the 'best possible use of Tinder' - it's actually a great way to get free money. Maggie, 20, is a student at Missouri Western State University. She discovered recently that with just a minor tweak in her Tinder bio she could turn her Tinder profile into a money making machine, using just a little bit of bamboozle. Ms Archer added a very simple, enigmatic line into her bio and the money came flooding in. 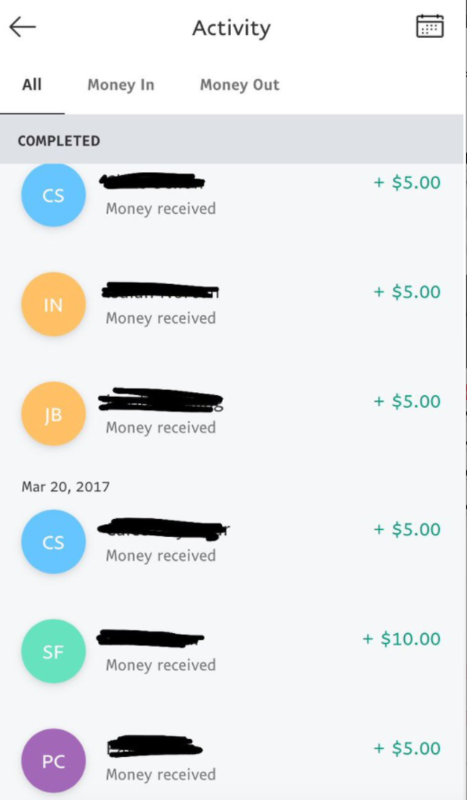 A simple "send me $5, see what happens". 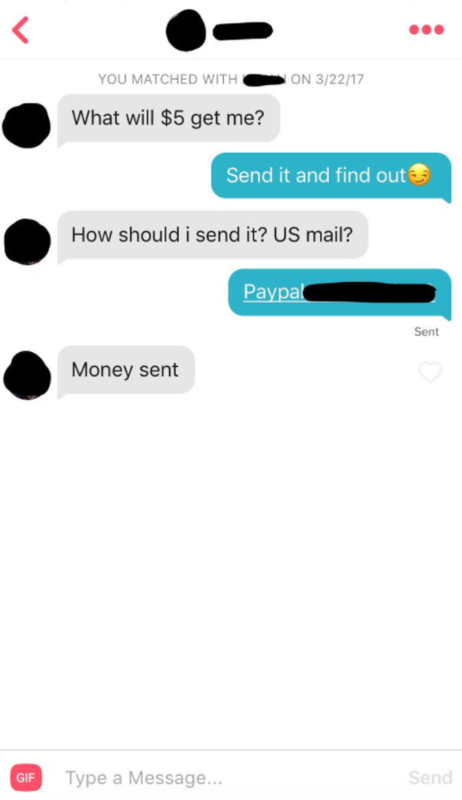 Intrigued by what happens when you send her $5, a lot of people got in touch to ask her. But she held strong, and told them they had to send it to find out. Pretty soon, the money started to hit her account. 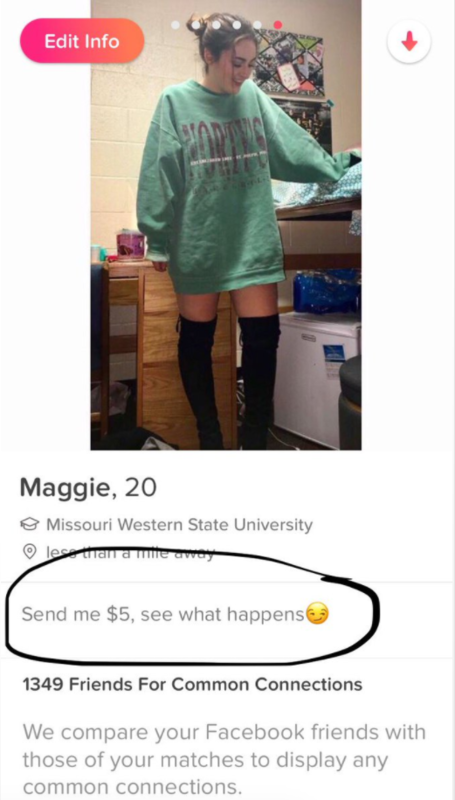 A lot of people had to know what happens when you send Maggie $5. One guy needed to know so badly that he sent $10. That's enough to find out twice. But they soon found out that what happens when you send $5 is this. Yep. She bamboozled them. You pay $5, she un-matches. Maggie tweeted out her money making scheme, where people have been enjoying her bamboozle. Others have said they now realise their own use of Tinder has been a massive waste of time. Although it's good that this guy has been raising the awareness about the endangerment of the honey bee. 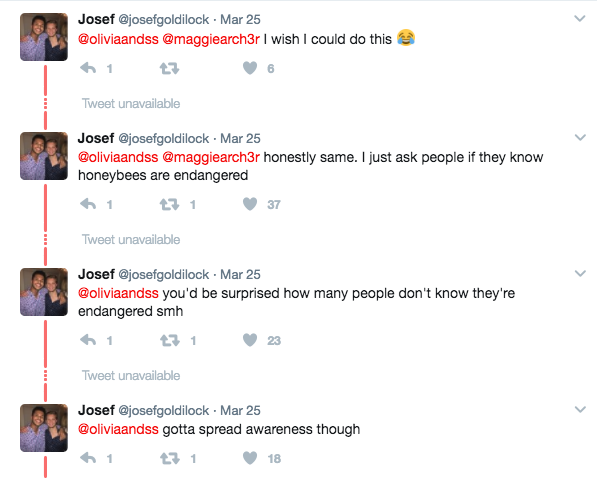 You'd be surprised how many people don't know they're endangered. 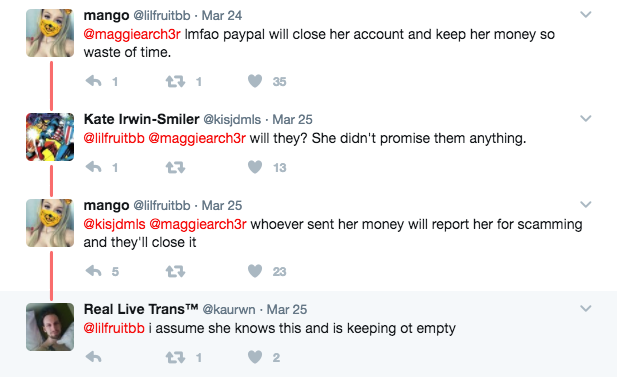 Either way, people seem to prefer Maggie's scam, even though they're speculating that Paypal won't actually let her keep the money she's received.